I am about to share one of the most effective techniques to enhance the well-being of those around you. It is a gift that does not involve money. It’s the gift of gratitude. I am so grateful to social media because it allows me to stay connected to those who have impacted my life. It also makes me aware of the impact my words and actions have in the lives of others. Over the past year I have run into people that I have not seen in months or even years. They are usually very happy to see me and then…… it happens! They start thanking me and telling me how much i inspire them or how much they are inspire by my Facebook Page. The acknowledgment of my efforts to be positive in social media is an incredible gift that warms my heart and puts a huge smile on my face every time. It reminds me to not miss opportunities to thank or praise someone and give them the same pleasure. Olson takes the concept of compounded interest to a whole new level. His premis: If you will just put a penny’s worth of effort each day towards your goals, over time you will achieve them. If you are to be a successful CEO, make the Slight Edge philosophy a part of your daily attitude. Making a business work takes a lot of time and effort. Your effort must be a little bit every day, and consistant. Blanchards work focuses on organizaiton excellence presented in the form of “legendary customer service”What is a raving fan? The premis: “If you really want to ‘own’ a customer, if you want a booming business, you have to go beyond satisfied customers and create Raving Fans.” A raving fan is an advocate of your products or services in the marketplace and an integral part of successful businesses. Habits are a matter of choice. In this book Covey dives into the depths of our attitudes (paradigms) and principles to help us identify “where we are coming from”. Once we can identify which of our paradigms are keeping us from interacting effectively with others, then and only then can we truly begin to work on changing them. This is likely the book every most CEO’s have read as budding entreprenuers, or at least has been told it is a must read. Who wouldn’t want to learn how to just think about being rich and have it happen? Published in the 1930s, the personal issues Hill wrote about Like the thoughts and behaviors that hinder people’s success in acquiring riches are still relevant today. Today is day 11 of the Ultimate Blog Challenge hosted by Michele Scism at DecisiveMinds.com and Michelle Shaeffer at MichelleShaeffer.com. The concept of the challenge is to promt bloggers to write a blog post everyday for 31 days. This definitely has motivated me to write. 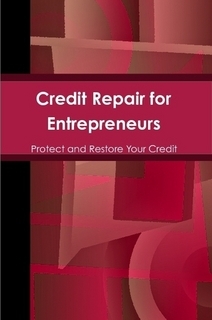 Stay tunedto my blog for some really great information on business credit and easily obtaining capital for your business. I’ve joined the challenge. It’s not too late, head on over to the Ultimate Blog Challenge and join us. So here goes nothing! Join me..if you dare. Let’s see how much visibility we can create using this tool. Getting 31 post will be hard for me but, I AM GOING TO DO IT!